I have not yet seen a show at the Burning Coal Theatre but this year, I hope to change that. The 2009/2010 season is posted on their website and I have created a Google Calendar in order for me, and anyone interested, to keep track of it. Copy one of the links below and import them into your Google Calendar or compatible calendar software to add the shows posted on their website. 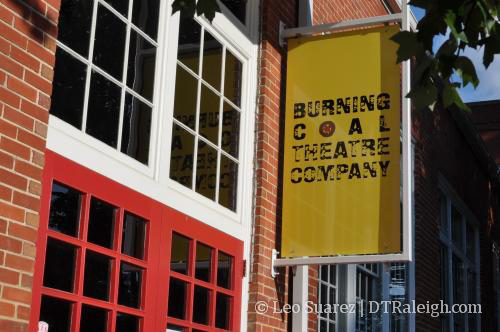 I have attended many Burning Coal productions and four in the new facility — it is a wonderful venue and Burning Coal is an outstanding theater company!! My favorite production that I have attended at Burning Coal recently was 1960 — it was very well done, entertaining and thought-provoking. I agree – Burning Coal is one of my favorite parts of living in the city. The last production I went to was “The Cherry Orchard”, which was impressive as always. The renovated performance space is fantastic as well. Another person logging in to add that Burning Coal is a great theater. I have seen some incredible shows there in the last couple years. You should make a point to see as many as you can this year….they are a bargain. Raleigh is lucky to have so many great smaller theater companies, like Burning Coal, Raleigh Ensemble Players (coming to Fayetteville Street!) and others. They are doing incredible work and much more affordable than the big “smash” shows at Memorial. Also, with all the places that are open downtown that serve late, it is a great evening to see a show, then grab dinner/drinks after. Times BAr, Borrough, Humble Pie, Remedy, Poole’s and other now serve til very late. I recall a time that, after seeing a play/ballet/etc in downtown, there was nowhere that you could get food at 11pm. That has certainly changed! I bet if you called Jerome Davis at Burning Coal he would let you take pictures of the inside. Looking at the outside, you would have no idea how modern the inside is. Add another to the list of people who have enjoyed BC shows. I only saw one in the new space and think they did a great job with the renovation. Glad to see others feel strongly about this theater. 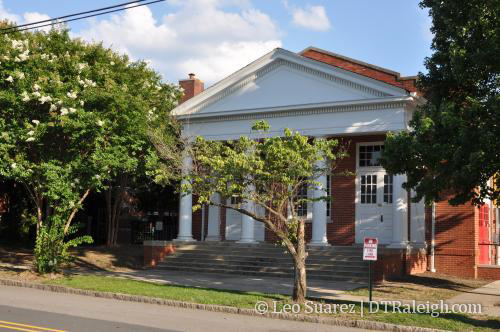 Personally, I get more excited about productions at Burning Coal or Manbites Dog in Durham, than I do the traveling Broadway shows.